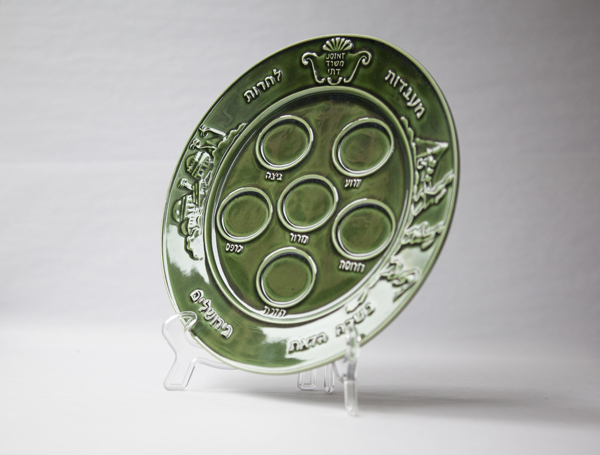 Seder Plate was produced in 1948 for distribution among Jewish Displaced Persons of the Holocaust. Passover celebrates the liberation of the Jewish people. 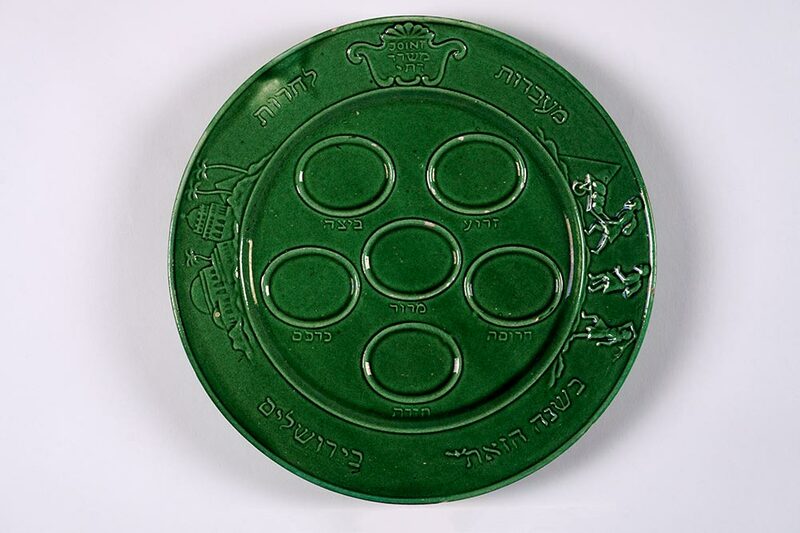 The JDC Seder Plate, produced in 1948 for distribution among Jewish Displaced Persons of the Holocaust, served not only as a functional ritual object but as a symbol of postwar revival of Jewish life. By the end of World War II, 250,000 Jewish refugees were living in Displaced Persons camps in Germany, Italy and Austria, and JDC provided matza, wine and other supplies to nearly 1 million Jews throughout Europe. 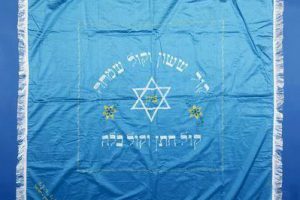 The plate’s inscription “This Year in Jerusalem” carried significant meaning, as many European refugees were eagerly awaiting the opportunity to immigrate to Palestine; studying the Hebrew language and working on agricultural training farms in preparation for the pioneering life in the Promised Land. This became a reality for many that year, with the establishment of a Jewish state. 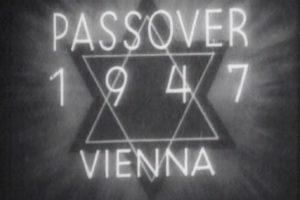 JDC’s program for Passover of 1948 was the greatest and most expansive in the organization’s history, yet it was far from the only instance that JDC provided Passover-related assistance to global Jewry. As early as 1918, JDC provided matza to Jewish soldiers in the Polish army. Providing free Passover food, matza flour, and matza became a JDC mainstay for Jews in need in places as far-flung as Iran, Cuba and Ethiopia. Yet another hallmark in JDC’s history was Operation Seder in the spring of 1990, the first Passover celebrated after the fall of the Berlin Wall. After seventy years of Communist repression forcing Jews to practice in secrecy, JDC heroically organized public seders for 10,000 Soviet Jews in the Former Soviet Union, where Jews were able to commune together and assert their Jewish identities. JDC trained young Israeli and American volunteers to lead Seders across the USSR, allowing for a point of contact and cultural exchange between Israeli, American and Russian Jews.